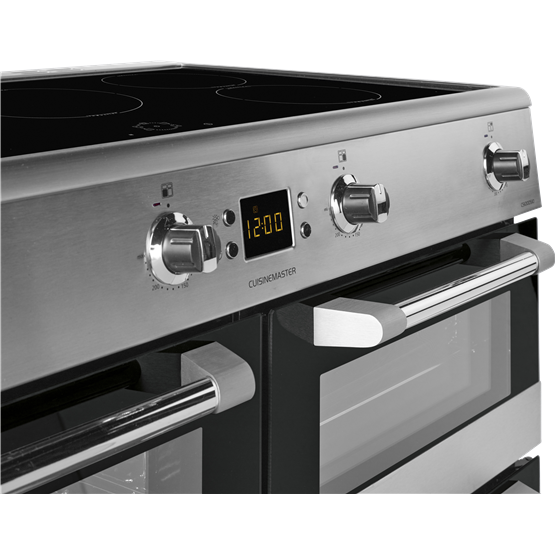 Mixing together the very best of contemporary cooking and the traditional range cooking experience, this Cuisinemaster model brings fast and energy efficient cooking to the range with its stylish touch control induction hob. 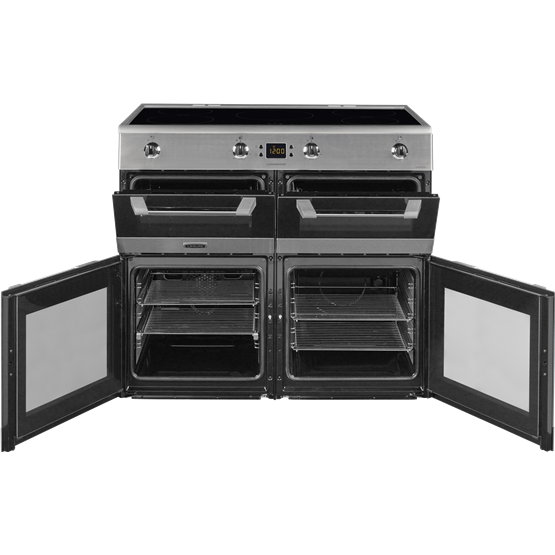 Three ovens give you the choice between fan, conventional and slow cooking, and the addition of a dedicated grill allows you to truly flex your creative cooking muscles. 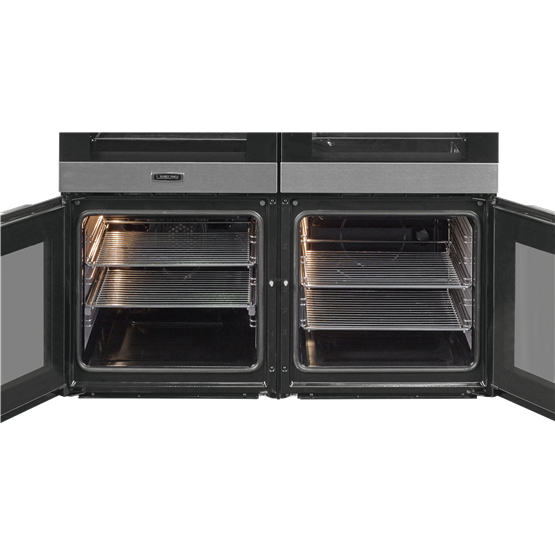 For effortless cleaning, Cook Clean liners catch dirt and grease from inside of the main ovens, removing the need to scrub the cavity walls. Good Points: Easy to operate and very easy to clean. 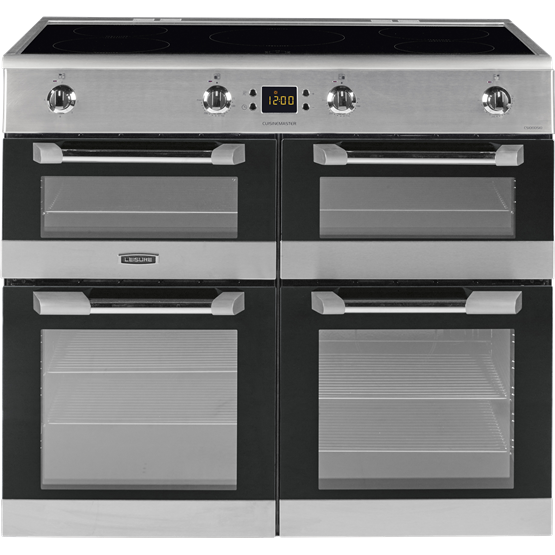 Bad Points: The slight delay in switching between induction rings when setting and resetting the temperature. Good Points: Lower price than most similar, but we now know why. Looks smart. 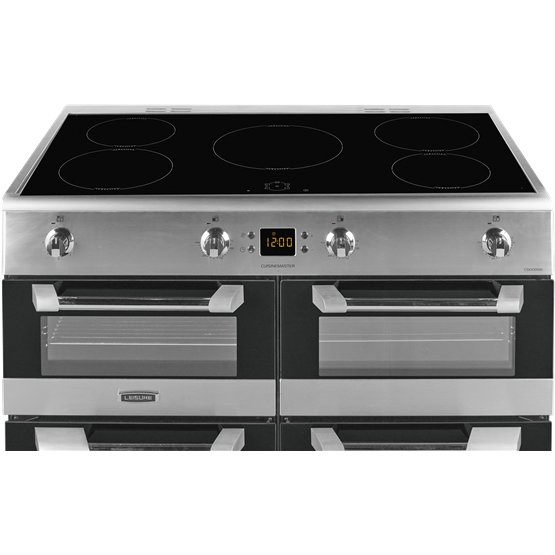 Good range of size of rings on the induction hob and cope well with smaller pans. 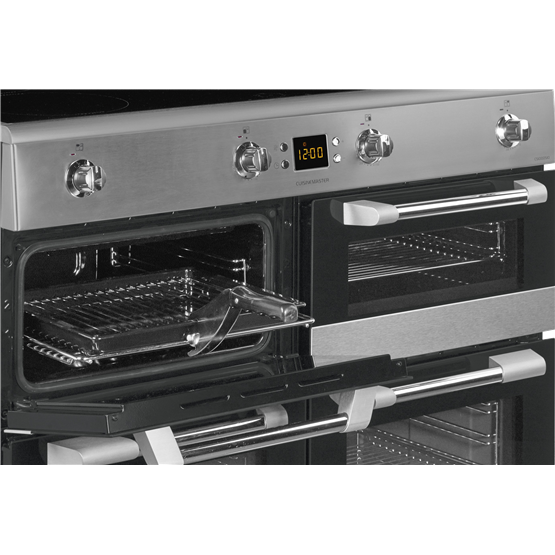 Good selection of oven sizes and options. Bad Points: Very noisy fans - sounds like metal grinding, when the general cooling fans comes on it is so noisy it is hard to talk. we have to avoid using the fan ovens most of the time. 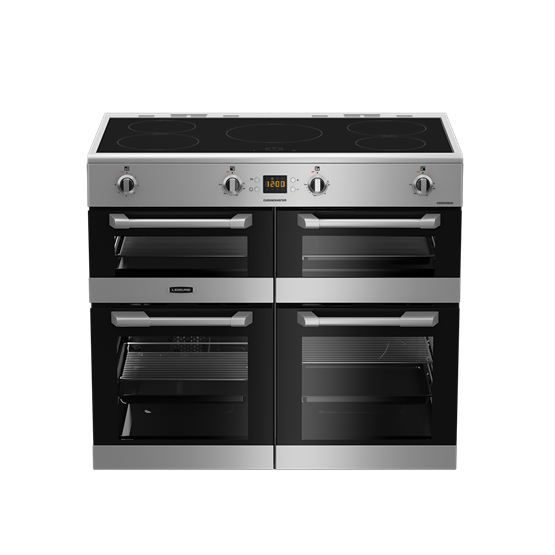 Setting the level of the induction rings is very hit and miss with the bizarre circular touch control. Why not a simple + and - like our last one. The level of the induction rings pulses from full heat to off to achieve lower settings rather than adjusting the level of induction. Leads to intermittent boiling on & off rather than a lower level of heat. Again, our last induction cooker did not seem to do this. The bars on the shelves run across rather than along the oven which catches and jams trays as you put them in or take out. Nearly burnt ourselves struggling with this on several occasions.